Seeking volunteer transport drivers. Gas reimbursement provided. 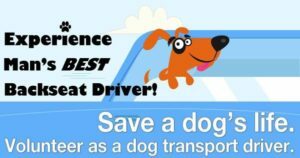 – A Reason to Believe Animal Rescue, Inc.
Seeking volunteer transport drivers. Gas reimbursement provided. One of the things we really struggle with is finding volunteer transport drivers. We partner with rescues in northeastern states and are part of the For All Paws Sake network of screened rescues. We need help with getting our dogs up to Hagerstown MD on Saturday mornings. Sometimes we only need to move them as far as Charleston WV or Ripley WV to hitch a ride with another sending shelter. Other times we need to go as far as Morgantown WV or Hagerstown MD. We can provide gas money to cover your out of pocket cost. You need a reliable vehicle, preferably an SUV or van. We can also use help with getting the dogs up to the Fix Em Clinic in Charleston during the week during business hours. This clinic provides vetting at more reasonable rates thus allowing us to get more bang for the buck out of your donation dollars. If you can help anywhere between Williamson WV, Logan WV, Pikeville KY, and Hagerstown MD, please submit ARTBAR’s Driver Application and we’ll be in touch. We need help both during the week (business hours) and on weekends (starting early Saturday morning). If you can help anywhere between Hagerstown MD and Massachusetts on Saturday/Sunday, please submit the FAPS Driver Application instead of ours. Previous Post Welcome new arrivals! Sponsors and rescue needed. Next Post Holt needs your help!